Does Your Team Need Dedicated Marketing Operations? A marketing operations team is a relatively new business entity. 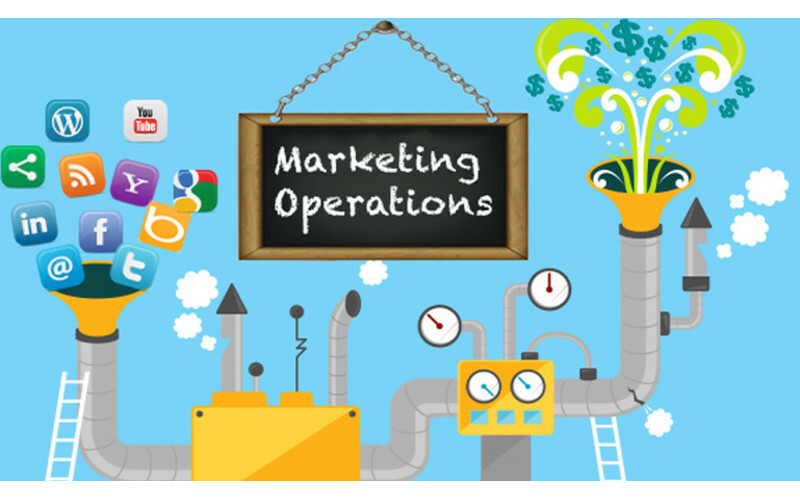 There are many businesses today that aren’t quite sure if their operation needs a dedicated marketing operations team. In fact, many of those businesses aren’t even sure what a marketing operations team does. If this sounds like your company, don’t feel bad—you’re not alone. If it makes you feel better, we’ll assume that you’re “asking for a friend.” What follows is a quick look at some of the functions of a marketing operations unit and the value it brings to an organization. In its simplest form, marketing operations manages the accountability of a company’s marketing efforts. Typically, they do this through performance measurement, guiding the team through the planning and execution of campaigns, budgeting, developing processes and data analysis. There’s a good chance much of this looks familiar. In fact, almost all businesses incorporate “marketing operations” tasks into their business model. The question is whether or not they have dedicated personnel performing those tasks. If they don’t, it means they’re likely spending less time on other valuable tasks like customer retention, social media marketing or acquisition marketing. Let’s take a closer look at some of the specific functions a dedicated marketing operations team performs. Marketing operations align marketing teams with company goals. When the creative side of a marketing team starts a new project, they’re likely conceptualizing a new product that they feel will meet customer demand and/or trends in the industry. A marketing operations team can make sure that demand is actually present by doing things like polling retailers and conducting customer surveys. With that data in hand, they can forecast inventory, delivery dates, etc. Marketing ops can also play a role in materials sourcing (if the business actually manufactures products), naming brands, testing products and designing packaging—all things that aren’t generally priorities for the creative team. Marketing operations teams can also help a company justify the marketing budget. Measuring specific campaign R.O.I. (return on investment) isn’t always easy, especially if you don’t have a dedicated person or team assigned to that analysis. Marketing operations can look at that data, and because they don’t have any kind of quota to hit (unlike many other marketing entities), they can be completely objective with their findings. That means campaigns and programs can be fairly “scored,” resulting in a more efficient and optimized overall operation. Marketing operations organize and prioritize tasks to keep the team focused on their specialized roles. It’s been said that someone who can do “everything” can’t really be an expert at “any one thing.” That concept rings pretty true in the marketing and business world. A marketing operations team may not have the best people for branding, design, materials sourcing, or campaigning, but they likely know who is the best at each of those functions, and it’s their job to keep those folks motivated, focused and on task as they collectively work toward the overall company strategy. Marketing operations serve as a central hub for cross-functional/collaborative projects. A marketing operations team will help create alignment within companies by building workflows through multiple departments like sales, finance, branding, tech and accounting. They’ll also set mutually beneficial deadlines and facilitate cooperation across all of these teams. In essence, a marketing operations team acts as a hub of a company, ensuring that all parties are working toward the overall company strategy. It does this by aligning all of the processes, people, goals and performance metrics. Marketing operations can facilitate the addition of analytics into creative processes. Marketing has traditionally been a very “right-brained” business, full of creative thinkers who generally live off of Starbucks, dream about media campaigns and more often than not, LOATHE math and data! Marketing operations bring a squad of “left-brained” thinkers to the team. These are folks who can quantitatively measure your efforts and use that data to forecast future success, as well as help develop best practices. The cold, hard truth is that deploying marketing programs and campaigns without having any metrics or key performance indicators (KPIs) in place is irresponsible. A marketing operations team takes on that role, and what’s more—they actually enjoy it! Ultimately, a successful marketing operations team requires building solid relationships with nearly every other business unit in the organization, from sales to I.T. When done right, these relationships will lead to a more efficient, cost-effective and profitable business.